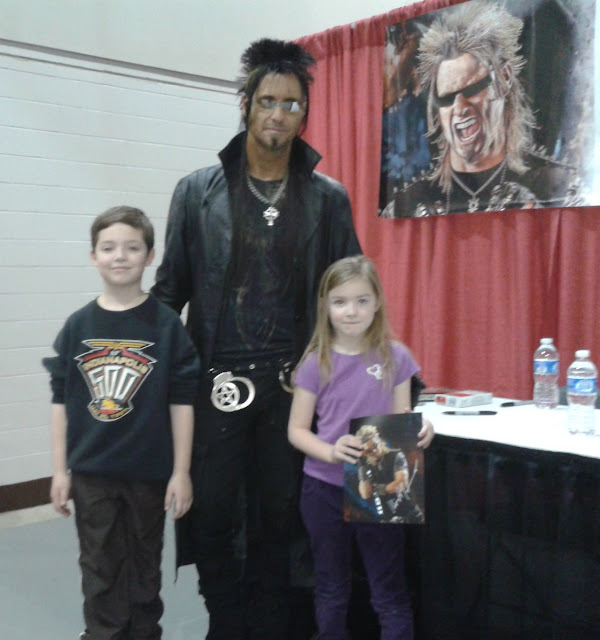 Visiting with Billy the Exterminator. We waited in line with an unhappy Jake for three hours. Billy was delayed. Not so sure he was worth the wait. We paid $45 to get into the World of Wheels, $5 to Park, and $5 for the photo. (Amanda was free.) Kids faces, priceless. Billy is tiny, I felt like I towered over him. The kids were overwhelmed, Mommy had to prompt them to speak. Amada had a question. Billy: "Sweetie, you had a question for me? Go ahead Hon, ask it." Amanda: "How did your hair get black? You have blonde hair." Billy: (Laughing) "Aw... some Girl Scouts jumped me and dyed my hair! Can you believe that?" Jake had already jumped off stage relieved he could go home and play video games, ironic since this was his surprise. Amanda covered her mouth in mock shock and laughed. "Mommy, did you hear what he said?" She's a star struck, boy chaser. Next time, we better wait in line to see Justin Bieber. This cracks me up. Who is this amazing exterminator? lol! Stop by my blog and link up for Wordless Weds! Tee hee. 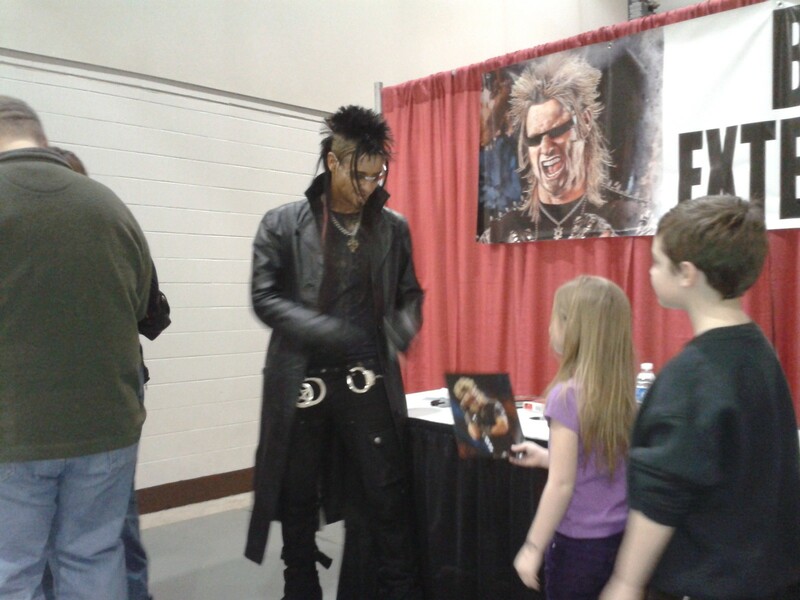 The kids are so crazy about him, it never occured to me people might no know who he is. I just framed the picture for her tonight! Billy has a show on Discovery or Animal Planet I can't remember which. It is reality t.v. he goes in and removes snakes, bees, raccoons and avoids exterminating at all costs. The kids love it!